What defines a gunslinger? Why his long barrel of course. 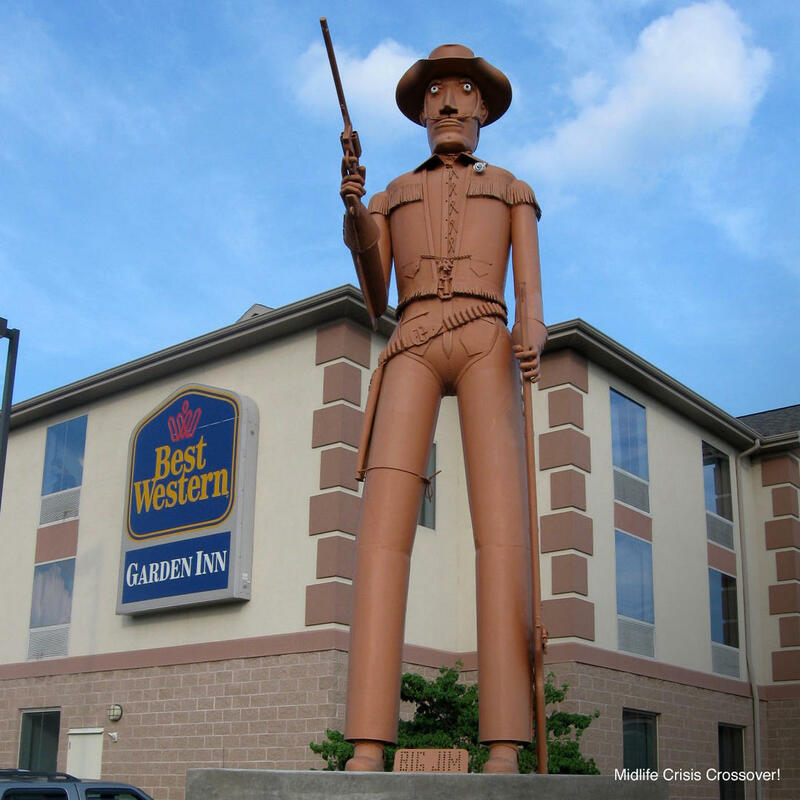 This well built 3.5-ton steel statue is 20-feet tall and carries a long barrel six-shooter to seemingly protects the Best Western hotel in Bentleyville.